I cannot think of anything I would rather do with okra than make this. If I get eggplant from my CSA, look out! Kelly is making Indian food tonight. 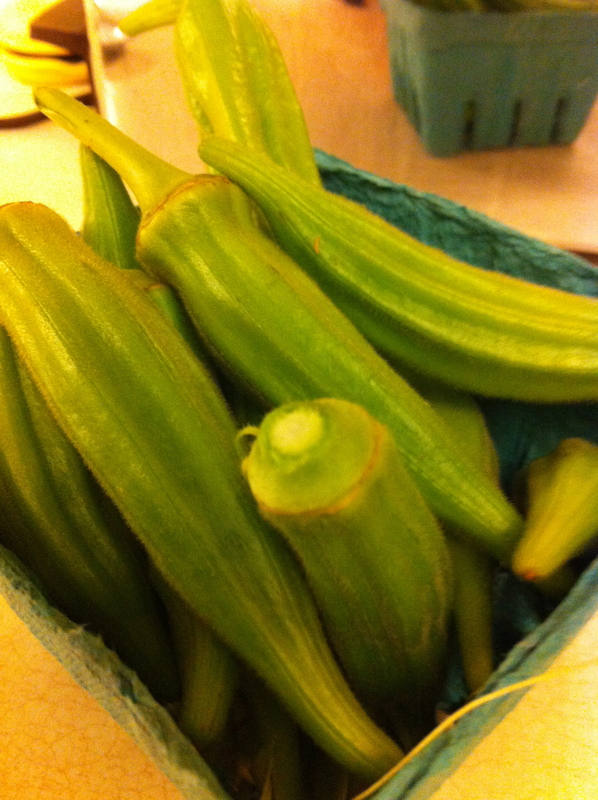 When the juices of the tomato have cooked off, check the okra to see if it is soft and tender. Serve on basmati rice, with Indian Spiced Braised Eggplant and Dal. 3 T cilantro, chopped, for garnish.